Are you looking to buy a new metal detector? If so, you’re in the right place! Listed below are 11 of the best metal detectors categorized by experience, budget, and the type of target you want to hunt. Choosing a metal detector isn’t easy. With hundreds of machines on the market, each with different features and strengths, the choice can be overwhelming. The options can also become more confusing as you research on YouTube, forums and blogs. Everyone seems to have a different opinion on what’s “best.” Some people won’t use anything but Garrett, while others swear Fisher provide the greatest bang for buck. Even when you think you’ve found the right choice, there’s always the odd bad review that puts doubt in your mind. So, before I get to my top picks, let's clear up a couple of important points. Firstly, hobbyists can be intensely loyal to a particular brand. If they've been using the same detector for years, they may not know about the latest products or technology. For this reason, even recommendations from people with plenty of experience may not provide a well-rounded opinion. Secondly, there is no such thing as the “best” metal detector for all purposes – despite what people on forums might say! The right option for you depends on what you want to find, where you want to hunt, your experience level and budget. Professional metal detectors can cost $10,000 or more. While these models provide outstanding performance, that doesn’t mean they are the “best” choice for everyone – and you can get some excellent models for under $1000 or even lower. With that out of the way, here’s a list of the best metal detectors by category. 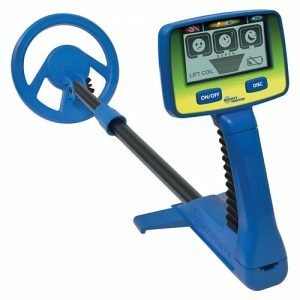 Budget – How Much Does a Metal Detector Cost? One of the most important factors when choosing a metal detector is your experience and skill level. If you have experience with metal detecting and want to improve your hunting, you’ll probably need to splash out on a more expensive model – and the XP DEUS is my top pick (see below). It's an outstanding detector that's suitable for almost any type of target and environment. If you’re new to detecting, however, skip to the “Entry Level” section. 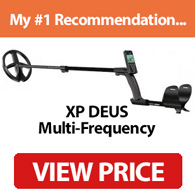 If you’re an experienced detectorist who is looking to upgrade, the XP DEUS is my top all-round pick. The DEUS is a multi-frequency detector with a range of advanced features. It’s not cheap, but if you can afford it you won’t be disappointed. What makes it such a special detector though? Firstly, the XP DEUS is a wireless detector. The remote control, headphones and coil all communicate via radio signal, which eliminates the need for wire connections. Perhaps more importantly, the coil itself contains a digital circuit for processing and analyzing detection signals, which increases signal quality and allows for better detection sensitivity. It’s a multi-frequency detector with options for 4KHz, 8kHz, 12kHz and 18kHz, along with a plus/minus shift. This means it’s suitable for a wide range of applications, including relic, coin and even beach hunting (although the control unit is not submersible). The DEUS is also an option for gold prospecting – especially when using the GOLD FIELD program (see below). As you would expect from a high-end multi-frequency detector, it has a range of settings and features. These include sensitivity, audio response, reactivity, iron level, discrimination and audio response. There’s also a notch option for defining detection ranges. The reactivity of the DEUS is one of its biggest selling points. The recovery speed is outstanding, which allows you to locate multiple objects rather than just a single signal. XP even recommends re-hunting your previous locations with the DEUS, as the excellent reactivity may allow you to find objects that were partially masked to other detectors. There are also four ground balance modes depending on the environment: Pumping, Tracking, Manual and Beach. BASIC – for general usage. DEUS FAST – for finding small targets in iron-infested environments. DEEP – for locating deeper targets with moderate discrimination. WET BEACH – for hunting on wet beaches, although some manual adjustments are required for the ground effect. GOLD FIELD – this mode uses a different detection method to counter the high levels of mineralization found where gold is usually located. When this program is activated, certain settings are either replaced or deactivated, so it takes some practice to get right. Once setup correctly, however, it’s great for finding gold nuggets. The range of detection options is one of the XP DEUS’ primary strengths. If you want a single detector that can find almost any type of target, it’s one of the best on the market. While the pre-sets are excellent, advanced users will love the customization options. The near-infinite number of custom setups allow you to tailor the DEUS to your exact requirements. Additionally, the weatherproof headphones (either WS4 or WS5) can be used to control many of the detector’s functions. These include ground balance, sensitivity, discrimination, volume and frequency. Aside from its excellent features and modern technology, XP has put a lot of thought into making the DEUS enjoyable to use. The wireless design is a bonus, but I particularly like how lightweight it is. The menus are also intuitive – although you’ll probably want to practice at home as there are a lot of settings to adjust. There are a number of other useful features included with the DEUS. The “S Telescopic” stem makes it easy to store as it can be folded away in just five seconds. XP also provides regular updates via the internet, which often add new features or increase performance. This continuous improvement, combined with the versatility and range of frequencies, mean you won’t need to upgrade to a different detector in the foreseeable future. As I mentioned, the XP DEUS is an advanced machine that’s designed for experienced hunters. It’s effectively several detectors in one, as you can use it for gold prospecting, relic hunting and coin hunting without needing separate detectors. This makes it a cost-effective option even though the price is relatively high. It also provides brilliant reactivity, a lightweight design and effective preset programs. There are so many excellent features of the DEUS, in fact, that it’s hard to fit them all into this mini review! If you’re looking for a high-quality detector that’s versatile and great for finding a variety of targets, it’s one of the best in the world. Note: When buying the DEUS, make sure you check which software version is included. Additionally, the DEUS comes with a 9” search coil, but you may want to consider the large 13”x11” DD coil as an additional accessory. Note 2: If you have a larger budget, the Minelab CTX 3030 provides similar features and is worth considering. Click here for my Minelab CTX 3030 review. While some beginners have the budget to jump straight to an expert machine, most people should start with an entry-level model. Aside from being much cheaper - $200-$300 can buy a decent entry-level model – these detectors are easier to use and less frustrating to learn. There’s nothing that kills the fun of a new hobby like spending hours trying to understand the basic functions of your detector! Entry-level models are “good enough” to find coins and relics in dry ground. While more expensive options have additional functions and more advanced features, they essentially do the same thing – especially if you don’t have the experience to know how to use them. Don’t go below $200 though. These models are closer to toys than real detectors. 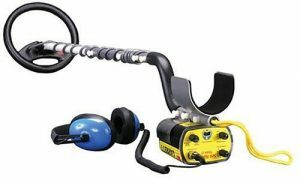 You can also view my full list of the best beginner metal detectors for more options in this price range. Don’t panic if you’re new to metal detecting and have just seen the price of the XP DEUS. There are plenty of great metal detectors that can get you started for considerably less – and the Fisher F22 is my top recommendation in the entry-level category. What makes this model the best beginner metal detector though? The Fisher F22 is a VLF machine with a weather resistant design. It has a fast recovery speed, is relatively lightweight (2.3lbs) and comes with 10 sensitivity levels. The F22 also has a respectable maximum underground detection depth of 9 inches – although this depends on the type of soil. Fisher has included several preset modes with the F22. These include jewelry, artefact, coin and custom modes. When you're getting started, these pre-sets can be extremely useful. Like most modern detectors, the F22 has a digital screen so it’s easier to see what you’re detecting. The depth gauge is a useful feature, even though it isn’t 100% accurate. There’s also a pinpointer mode, although you’ll probably want to buy a dedicated pinpointer once you have more experience. Most importantly for an entry-level detector, the F22 makes it easy to start hunting without sacrificing too many features. Despite the relative simplicity, it still has notch, sensitivity and discrimination, along with an iron audio feature that allows you to set the volume of iron targets for greater clarity. There’s also a 2-digit target ID (1-99). Target identification numbers provide a guide as to what metal has been found, which can be a huge time saver by helping you avoid duds in trashy areas. In other words, this is much more than a toy detector – but you won’t spend weeks learning how to use it either. Of course, there are trade-offs to buying an entry level machine. It is weatherproof, but NOT waterproof. It’s fine to submerge the coils, but the control box should not be placed in water. The operating frequency of 7.69kHz is great for coins and relics, but is not suitable for gold – for that you’ll need a dedicated gold prospecting detector. A bigger issue is the lack of a manual ground balance setting. While this isn’t a problem when you’re a beginner, at some point you’ll want more control over the ground balance – especially in environments with heavy mineralization. On the other hand, the lack of manual ground balance makes the detector easier to use. So, for beginners, it’s still a great choice. With a list price of just $289, the F22 is firmly within the entry-level category, but it provides surprisingly strong performance. Fisher also offers a generous 5-year warranty, so if you’re looking for an entry-level machine without breaking the bank, the F22 is a no-brainer. Note: If you want all the features of the F22 but with the addition of manual ground balance, the Fisher F44 is an option to consider. The Garrett ACE 250 is another good option. Another excellent entry-level detector is the Garrett ACE 400. It’s a bit more expensive than the Fisher F22, but comes with extra features that aren't found on the cheapest metal detectors. Like the F22, the ACE 400 has full digital target ID. The scale ranges from 0-99, with foil and iron registering at the lower end. This is one of the reasons I recommend the 400 over the cheaper ACE 350, as the lower-priced model only has a basic visual ID function. For beginners who might find the ID scale daunting, there is still the visual ID option with segments for copper, iron, gold and other metals. You'll want to get a feel for the ID system as soon as possible for more accurate identification though. The ACE 400 comes with a variety of other features. Garrett's excellent Iron Audio is included, which isn't found on cheaper metal detectors. If you've never used this function before, it allows you to hear discriminated iron targets, which helps filter out ghost signals. There's also a three-tone audio system, pulse-width modulation for sharper signals, and a waterproof search coil. You can create custom notch discrimination patterns - although beginners might feel more comfortable using one of the five pre-set modes. Most importantly, the Garrett ACE 400 is highly sensitive and great for finding targets. It also does a good job of discriminating junk, so you'll waste less time on unwanted items. There are some drawbacks though. There's no manual or automatic ground balance, so you need to rely on the pre-set settings. This can be a problem in wet sand or mineral rich soil. 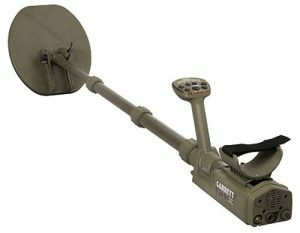 I can't complain about this feature too much, however, as there aren't many metal detectors in this price range with adjustable ground balance. It's also worth noting that the ACE 400 is not submersible - only the coil is waterproof. Despite these issues, if you’re looking for a beginner metal detector that’s a step up from the F22 and provides great value, the ACE 400 is an excellent choice. Now, if you want something more advanced than an entry-level model, here’s a list of the top options by type of hunting. One of the most exciting uses for a metal detector is finding hidden relics. It’s possible to find everything from ancient coins to old tools – and some items fetch a decent price depending on their age. Most metal detectors do a good job when finding relics, but there are a few things to look for when buying. For best results, it’s important to consider where you’ll be hunting. In soil with high levels of mineralization, a ground balance control is useful for reducing interference without accidentally filtering too many types of relic. Look for a machine with both automatic and manual ground balance options and a reasonably large coil for greater depth. A lower frequency can also help to detect relics made from brass, steel and iron. If the frequency of your detector is too high, it’ll be difficult to pick up these items. For this reason, avoid high-frequency machines that are designed for gold prospecting. The XP DEUS is probably top-dog in this category, but if you want alternatives the Fisher F75 and Teknetics T2 are great options. If you’re looking for a top-quality VLF detector for hunting relics or coins, but can’t afford the XP DEUS, the Fisher F75 is an excellent alternative. It’s much cheaper than the DEUS but is still comfortable to use and provides a wide range of useful features. Let’s start with the machine itself. At 3.5lbs, it’s not the lightest detector on the market but isn’t too heavy to carry. It’s also well balanced, so you won’t have trouble swinging it for long hunting sessions. The F75 is a VLF detector with a 13kHz frequency. This is slightly higher than the entry-level models on this list, but still suitable for coin hunting while being perfect for relics. Most importantly, the detector does a great job of finding relics and coins even in iron infested areas. This is due to the dual-filter discrimination modes, which allow you to ignore iron signals. Whether you’re hunting in woodland, parks or almost anywhere else, the F75 provides great discrimination and depth. There are also a number of features and settings for advanced users. Both automatic and manual ground balance modes are included, depending on how much control you need. The 11” search coil is larger than those found on cheaper models, so you can hunt larger areas in less time. It also comes with an all-metal mode, fast response time, FeTone setting, and a large backlit LCD screen including a 2-digit target ID display. It’s hard to find much to criticize about the F75. The lack of a waterproof control box means it’s not suitable for hunting in deep water or when diving, but that’s to be expected from a standard VLF detector. If you want to hunt underwater, however, this isn’t the right option. To summarize, the Fisher F75 is an outstanding metal detector. It doesn’t have the advanced features of the XP DEUS, as it’s a single frequency detector without wireless technology. But for hunting relics and coins it provides excellent sensitivity, depth and discrimination – even in environments filled with iron trash. For more information about this model, check out my full Fisher F75 review. If you want a relic hunter that’s even cheaper than the Fisher F75, the Teknetics T2 Classic is a great choice. It’s a 13kHz VLF detector with great sensitivity and a large screen, so it provides outstanding value for money. The T2 is also versatile and easy to use. The first thing you’ll notice about the T2 is that it has a large LCD screen. This isn’t backlit, which makes it less convenient in low-light conditions, but has a 2-digit Target ID along with a simple menu system. The T2 Classic provides a range of features, including a manual ground balance, all-metal and discriminate operating modes, and a sensitivity setting. The double filter discrimination modes are great for hunting in trash-ridden areas. It doesn’t include an automatic ground balance though, which makes it less suitable for beginners. Along with its powerful detection, fast response times and discrimination, the T2 Classic also provides outstanding depth. It can detect coins buried up to 15” deep, which is much deeper than many detectors in this price range. Like most modern detectors, the coils are waterproof, so they can be used in shallow water. The control box isn’t waterproof though, so the machine isn’t submersible. In summary, the Teknetics T2 Classic is a great choice for relic hunting – but it’s also a versatile machine that can even handle basic gold hunting. If you want a relic hunting detector that can search deeper than most alternatives, the T2 Classic is definitely an option to consider. Coin hunting is one of the most common metal detecting activities – and it can be a lot of fun. Aside from the excitement at seeing what you’ve found, it’s also a great way to relax and get some gentle exercise. Plus, if you’re lucky enough to find a rare coin, it can be highly lucrative. The truth is that most decent metal detectors do a good job of detecting coins. There are differences between the best models and cheaper options though, such as the addition of target identification, advanced displays and ground balance control. The key is to get a detector with the right frequency (<15kHz). Avoid high-frequency machines, as these are designed for finding gold. It’s also worth considering the coil size (more on this below). Detectors usually come with a medium-size coil, which provide decent balance between sensitivity and depth. If you want to search deeper, however, you’ll need a larger coil. While the XP DEUS and Garrett ATX are both excellent for finding coins and similarly-sized objects, the Garrett AT Pro is cheaper and provides outstanding performance. If you’re looking for an entry-level option, the Fisher 22 is a great choice. When it comes to value for money, it’s hard to beat the Garrett AT Pro – especially for coin hunting. It's also one of my favorite Garrett metal detectors. While I wouldn’t call a $600+ detector “cheap,” the AT Pro is a brilliant machine that provides performance that far exceeds its price tag. I’ve included it in the coin hunting category, but this is really an all-rounder for finding everything from relics to underwater jewelry. The best thing about the AT Pro is that it’s a highly versatile detector. Whether you’re searching for coils in iron-ridden soil, looking for lost trinkets in dry sand, or even hunting underwater (see our list of the best underwater metal detectors for more information), the AT Pro can handle it. It’s one of the best all-terrain detectors in this price range. The AT Pro also provides excellent performance. It has a high-resolution iron discrimination feature, which allows you to choose from up to 40 levels for more precise trash separation. The screen also has a 2-digit target ID scale and you can choose between automatic or manual ground balance modes. An interesting feature is the AT Pro’s “professional” audio mode. While the “standard” mode is easier to use, the pro setting provides an audible target ID that allows you to judge the shape, depth and size of the object. There’s also an Iron Audio identification. With a 15kHz frequency, the AT Pro is at the edge of what I consider suitable for coin hunting. The slightly higher frequency than the Fisher F75 and Teknetics T2 reduces depth, but allows the AT Pro to detect smaller coins and relics. As I mentioned, the AT Pro is suitable for underwater hunting – including in salt water. This is due to its waterproof design that can be used at depths of up to 10 feet. If you want to experience the thrill of underwater metal detecting without spending a fortune, the AT Pro is one of the best options. One thing to note is that the standard headphones are not waterproof. If you want to use the machine underwater, you’ll need to buy some waterproof headphones separately. There’s also no backlight on the LED screen, which can make it less convenient to use in darker conditions. Despite these small oversights, the AT Pro is probably the best all-rounder below the $1000 mark. It’s suitable for most types of detecting, including both fresh and saltwater, while the waterproof control unit is rated for depths up to 10 meters. When it comes to general purpose metal detecting, the AT Pro is hard to beat. Want to know the differences between this model at the AT Gold? Check out my Garrett AT Pro vs AT Gold comparison. The AT MAX is another great option that's more expensive, but includes features like wireless audio and a true all-metal mode. Salt water beaches are amongst the most rewarding places to go metal detecting – but they also present unique challenges. One of the issues is that salt water amplifies certain minerals, which can lead to more false detections. Some Very Low Frequency (VLF) detectors with excellent ground balance features allow you to tune this out, but cheaper options often only have preset ground adjust. This is fine for dry locations, but for beaches you need full control. 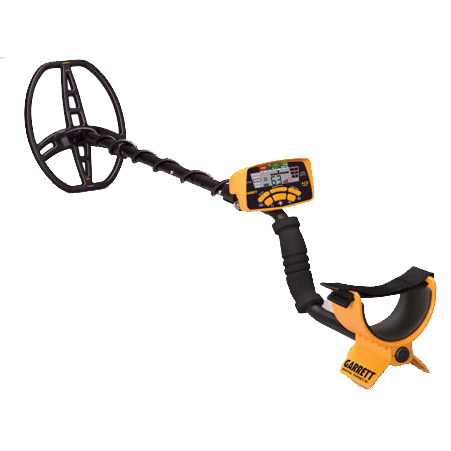 A better option is to buy a Pulse Induction (PI) metal detector. These units ignore minerals so you get far fewer false detections. PI detectors also provide a deeper search. PI detectors aren't perfect though. The biggest problem is that they can’t discriminate between different objects. For beaches with lots of trash, a multi-frequency detector is the better option – although they are often more expensive. A multi-frequency detector can also be used for general purpose detecting, while PI models are more specialist. Whichever type of detector you use, make sure it’s fully waterproof. Most detectors have waterproof coils, but the unit itself also needs to be submersible when hunting at the beach. For more information about saltwater hunting, check out my list of the best beach metal detectors. Note: If you’re going to be hunting in freshwater locations, a VLF model that’s fully submersible is perfectly adequate. The AT Pro above is a good example. If you’re looking for a pulse induction detector that can handle saltwater conditions, the ATX Deepseeker is probably the best choice. It’s expensive, but is waterproof to 10 feet, extremely sensitive and includes a variety of advanced features not found on cheaper models. The first thing to note is that there are both ATX and ATX Deepseeker packages. The Deepseeker package includes the large 20” Deepseeker Searchcoil, which provides a deeper search than the standard 10”x12” DD coil. Whether you need the extra coil depends on your requirements and budget – although it provides excellent performance and a depth of up to 18 inches depending on the composition, size and orientation of the object. As a pulse induction detector, the ATX Deepseeker is perfect for both gold prospecting and relic hunting in saltwater. It has both motion and non-motion options, an advanced manual ground balance feature, Iron Check and an LED signal strength indicator. The model also provides “extreme sensitivity” to allow it to pick up small nuggets or relics that others are likely to miss. One of the best features of the ATX is that it provides maximum detection for all targets at all times. You don’t need to change modes to get better performance from one type of detection at the expense of another. The manual ground balance also provides a wide range of settings, so you can balance for everything from saltwater to heavy mineralization without changing modes. There are some downsides though. The biggest is the price, as this is an expensive model that isn’t suited for beginners. It’s also relatively heavy, although this is to be expected from an advanced PI machine. Even with these drawbacks, the Deepseeker is a great choice for saltwater hunting or gold prospecting. It’s highly sensitive, suitable for a variety of terrains and looks fantastic. The Garrett ATX Deepseeker provides military-grade technology for saltwater hunting – but at a high price. What if you want to tackle the seas but without such a large budget? In this case, the Garrett Sea Hunter Mk-II is a great alternative. It’s nowhere near as advanced as the ATX, but is a great choice for getting started with a pulse induction detector. The Sea Hunter Mk-II has been designed from the ground up for use in salt or fresh water. This makes it a good choice for beaches, snorkeling or diving – especially as waterproof headphones are included. It’s a pulse induction machine that includes Garrett’s Discrete Trash Elimination mode. This allows the model to discriminate, which isn’t usually possible with pulse induction machines without missing valuable targets. Other features include a hip mounted control box, sensitivity, discrimination and depth adjustment settings, and a maximum operating depth of 200 feet. While the Sea Hunter Mk-II isn't the most advanced detector on the market, it does a great job of underwater hunting - especially if you're going to be diving with your detector. Finding a gold flake or nugget is entirely possible with a metal detector – but it’s important to have the right equipment. Most standard detectors do a decent job of finding relics, jewelry or coins. This isn’t true for gold though, as you’ll want to use higher frequency VLF circuits that are more sensitive to gold, or a pulse induction model. VLF circuits are usually cheaper and can tune out common steel or iron items, but are more sensitive to minerals that are often found in the same places as gold. PI detectors can ignore minerals in the ground while finding nuggets at greater depths, but they are not built to filter trash. The type of detector isn’t the only factor though. It’s also important to consider your budget. Gold prospecting metal detectors can cost up to $10,000 (or even more), so you’ll need a large budget for the best machines. You can find some reasonable quality prospecting detectors for around $500 though. 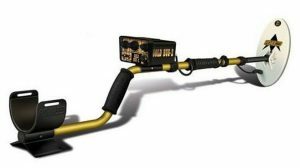 For a more detailed guide to gold prospecting, check out my list of the best metal detectors for gold. 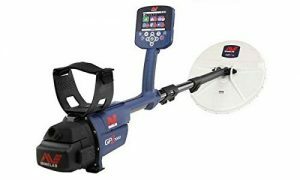 I’ve mentioned that gold prospecting models can be expensive, and the Minelab GPZ 7000 is the perfect model to prove the point. With a list price of over $10,000, this is a professional-standard detector that’s only suitable for the keenest gold prospector. While price doesn’t always equal quality, the GPZ 7000 is easily the best gold detector on the consumer market. It has a range of advanced features that aren’t found on other machines, and provides extreme sensitivity and depth for gold. One of the biggest differences between the GPZ 7000 and other detectors is that it’s built with zero voltage transmission (ZVT) technology instead of VLF or PI. Most gold detectors use either high frequency VLF or pulse induction technology, but both have tradeoffs for sensitivity and depth. ZVT provides both excellent depth and increased sensitivity, making it possible to detect gold nuggets other machines would miss. The only way to come close to this technology would be to use both a high frequency VLF and PI detector at the same time. As you would expect from such an expensive detector, the GPZ 7000 provides outstanding performance. It can detect gold up to 40% deeper than its closest competitor, the GPZ 5000, which provides a huge advantage over other detectorists. The Super-D coil is also more sensitive than most, so you can find nuggets others might miss. Most gold nuggets are found in “difficult” environments with lots of mineralization. The GPZ 7000 makes detecting in these conditions easy, due to its precise automatic ground balance (although there’s also a manual mode when you need it). You also have full control over customization options, including sensitivity and audio volume. There are a number of extra features included with the GPZ 7000. It has built-in wireless audio, which reduces the chances of the cord getting tangled. There’s also integrated GPS, which allows you to log your finds using the Xchange 2 software, along with an easy-to-use control panel. As you can tell, the GPZ 7000 is a truly next-generation gold detector. It’s expensive, but for serious gold detecting it’s the best there is. I haven’t even touched on all the features in this mini review, such as the Super-D smart coil and Wi-Stream transmission, but I think you get the idea! Note: The Minelab GPX 5000 is also an excellent detector that’s available for a cheaper price. It doesn’t have the zero-voltage technology though, and isn’t as easy to use as the GPZ 7000. The Minelab GPZ 7000 is undoubtedly the best gold detector, followed by the slightly cheaper (yet still very expensive) GPX 5000. What if you can’t afford to spend $5000+ on a detector but still want to hunt gold though? In this case, the Fisher Gold Bug 2 is a lower-budget option that provides surprisingly good performance. It’s based on the classic Gold Bug design that’s been honed over several decades, and provides a high frequency 71kHz operation to help you find small gold nuggets. Along with its high frequency operation, the Gold Bug 2 has three settings for mineralization. This allows you to search effectively even in soil with high mineralization. There’s also a large 6.5” coil, and both course and fine ground reject settings so you can fine tune response depending on the conditions. A useful feature of the Gold Bug 2 is the “IRON DISC” mode. This rejects iron trash and hot rocks, so you don’t get repeated signals for metals you’re not interested in. While the excellent feature list is great, what’s more important is that the Gold Bug does a great job of finding gold that other detectors might miss. Considering the price, it provides excellent value for money. Aside from its detection abilities, the Gold Bug 2 is also easy to use. It weighs just 2.9 pounds and is comfortable to carry – especially as you can choose either chest or hip mounts – so you can swing it for long periods without getting tired. The machine is also resistant to both moisture and dust, which is vital when prospecting for gold. As you would expect from a relatively low-budget gold detector, there are a few drawbacks. The control box is not waterproof, so it’s only suitable for use in shallow water. There’s also no automatic ground balance option, although you’ll probably want to use manual when gold prospecting anyway. Another issue is that it uses standard 9V batteries. These last a reasonably long time, but it’s worth buying rechargeable ones to save money in the long run. It’s also not a pulse induction model, so don’t expect it to reach the depths of detectors with this technology. To summarize, if you’re looking for a gold detector for under $1000 then the Fisher Gold Bug 2 is my top recommendation. It might not have the advanced features of the Minelab or depth of a PI model, but it’s highly sensitive and lets you find gold that other detectors may miss. There are a number of metal detectors designed for children. These models aren’t “real” detectors, but can still find the odd bit of metal while being lightweight and simple to use. If you have a young child who is interested in the hobby, these detectors can be great for feeding their enthusiasm. On the other hand, it may be worth buying a lightweight entry-level model for older children. These are much higher quality and still relatively easy to use, although they are more expensive. A good option is the Fisher F22, but check out our page of the best metal detectors for kids for more information. 11. Bounty Hunter Junior T.I.D. For young children with a developing interest in metal detecting, the Bounty Hunter Junior T.I.D. could be a fantastic gift. The detector has simplified versions of many of the features found on full detectors, but with a cute design and fun display. Of course, it’s not as effective as a “real” detector, but it’s better than you might expect considering the price. The model has a simple digital display with three target ID categories, three tone IDs and a graphic indicator for depth. There’s even a discrimination function. The T.I.D. is never going to detect deep relics, but it does a surprisingly good job at finding coins and other items near the surface. It can be used on dry sand or in parks – although it’s not waterproof. It’s also very lightweight and easy to hold. So, if you’re looking for a fun first detector for your child without spending a fortune, it’s a great choice. The 11 metal detectors above are all excellent choices in their respective categories. It’s still important to be familiar with the terms and features found on modern detectors before you buy though, so here’s a brief summary. 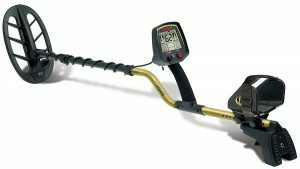 The types of targets and environments in your local area is a big factor when choosing a metal detector. If you live near the coast, it might make sense to consider equipment that can be used on beaches or underwater. All modern detectors have waterproof coils, but most are not made to be fully submerged. If you live near deserts with known gold deposits, however, then a waterproof design is likely to be less important – but a gold prospecting machine could be a great choice. Even if your local area has a mixture of hunting grounds, take some time to think about the targets you want to find. Are you interested in relics because you live near locations that were involved in the Civil War? Or are you more excited about looking for lost items at local parks? Once you know what the types of targets you’ll be hunting, choosing a detector becomes much easier. Note: For more information about finding certain types of target, check out my metal detecting tips page. There are three common types of detector: VLF, PI and MF. The right choice depends on your budget and goals. VLF detectors are probably the most common type. They are relatively cheap to make, so most detectors under $1000 are likely to use VLF technology. VLF detectors are also good at discriminating between different types of object. A VLF detector uses two coils to find metal in the ground. The transmitter coil creates a magnetic field, while the detector coil “listens” for magnetic fields created by targets (for more information check out our how detectors work page). The main advantages of VLF detectors are that they are relatively lightweight, easy to use and don’t cost as much as other types. They are also excellent at detecting larger objects – although they are more affected by mineralization. If you’re a beginner, a VLF detector is probably the best choice. PI detectors are often more expensive than VLF, but have several advantages for specialized hunting. Unlike VLF, a PI detector has a single coil that acts as both the receiver and transmitter. The technology is less affected by mineralization in the ground, which makes PI detectors great for the beach. The downside is that PI detectors don’t have the VLF’s ability to discriminate objects. This makes them unsuitable for urban areas, as they can’t filter out iron trash. As the name suggests, multi-frequency metal detectors can be set to more than one frequency. This makes them more versatile, so you can use them for both saltwater beach and general detecting without needing separate machines. The downside is the price. Multi-frequency options are expensive – but they are probably the best choice if you can afford them. Metal detectors have a range of features and settings. It’s important to understand how these affect the operation of a machine before you buy. All soil contains trace amounts of minerals and elements, which can interfere with a detector. A ground balance setting helps ignore these minerals to focus on relics, coins and other objects you want to find. Preset – The machine has one (or more) ground balance setting that is preset by the manufacturer. These are fine for regions with low or medium mineralization, but can't be adjusted for more difficult regions. Automatic – Modern metal detectors can often determine the mineralization of the soil automatically and adjust the ground balance without user input. Manual – A manual ground balance setting needs to be adjusted by the user depending on the soil type. While this requires a greater knowledge of the environment, it is useful if you want complete control. A manual ground balance is also important for gold prospecting. Multiple – Some machines allow you to switch between manual and automatic modes depending on how much control you need. The sensitivity of a detector provides a balance between its ability to detect an item at a certain depth and detecting interfering minerals. It's always best to run the highest sensitivity if you can, as this provides the greatest depth. You may need to lower the setting depending on the environment though. In metal detecting, discrimination refers to a detector’s ability to tell the difference between various objects. More importantly, a detector with good discrimination is better at sorting trash from treasure. This can save a lot of time, as there are plenty of nails and other junk buried in soil. You don’t always want discrimination though. If hunting for relics, for example, detectorists may decide to dig up all items as it’s impossible to know which are junk. The frequency of a metal detector is how often the circuitry switches the direction of current. This affects the depth and size of object the machine can detect. Lower frequencies provide greater depth penetration. If you want to detect deeper objects, look for a detector with a lower frequency – although be aware this makes the machine less sensitive to smaller targets. Higher frequencies are most commonly used for gold or detecting smaller items. The higher the frequency, the shallower the maximum depth though. It’s worth mentioning that frequency isn’t the only factor that affects the search depth. Soil composition and the type of coil also play a role. Most detectors use a lower frequency to provide a greater depth. For specialist purposes, you may want to consider a higher frequency of multi-frequency option though. Some metal detectors can inform the user which type of target has been found. These detectors adjust their audio or visual output depending on whether a potentially valuable item has been detected, or whether it is likely to be junk. As you can imagine, this feature can save a lot of time digging up unwanted items. The reactivity is a measure of how quickly the detector recovers after responding to a target. A faster recovery time allows the machine to respond to multiple targets in a sweep, including those that are close to rejected targets. Some models, such as the XP Deus, allow you to adjust the reactivity. A higher reactivity setting allows the machine to pick out “good” targets when there is lots of iron trash in the environment. In easier environments, a lower reactivity provides a larger detecting range. A screen can be a useful addition to a metal detector – even though most experienced detectorists rely mainly on audio signals. The information shown on a screen varies depending on the model. Examples include remaining battery run-time, sensitivity, discrimination settings and depth. Not all modern detectors have screens though. Many Tesoro detectors, for example, have adjustable dials rather than a digital display. I mentioned earlier that coil size affects search depth. As a general rule, the larger the coil, the deeper you can search. This doesn’t mean larger coils are always the better option though. When a detector searches deeper into the ground, the signal passes through more trace minerals and elements. This makes false signals more likely – particularly in ground with high mineralization levels - and can mask smaller objects behind background static. The result is that you’ll need to turn down your sensitivity, which reduces the effective search depth. Larger coils also make the detector less maneuverable, heavier and provide poorer object separation. On the upside, bigger coils are great for environments with low levels of mineralization. They are also faster when hunting over large areas. When you’re first starting as a detectorist, the stock coil is probably all you need. You may want to consider buying some additional coils as you gain more experience though. While larger coils are great for depth, having a smaller coil in your arsenal makes it easier to find smaller targets. It’s also useful to be able to switch to a small coil when hunting in tight areas or near metal fences. Metal detectors are specialist equipment, so it’s best to buy from known brands with a proven history. 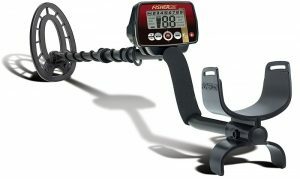 Some of the top metal detector brands include Tesoro, XP, Teknetics, Minelab, Fisher, Whites and Garrett. These brands also tend to have excellent customer support and training materials. The cost of a metal detector can vary widely. The cheapest options cost several hundred dollars, but still allow you to find hidden treasure with surprising efficiency. At the other end of the spectrum, high-end gold prospecting detectors can cost $10,000 or more. How much should you spend though? This depends on your experience, budget and what you want from a metal detector. If this is your first detector, I recommend sticking with an entry-level model in the $200-$350 price range. These are relatively cheap, so you won’t waste as much money if you don’t enjoy the hobby, and are also simpler to use. Basic detectors don’t have the advanced features found on pricier models, but they are great for learning and you can still have plenty of fun with them. As you become more experienced, you’ll probably want more advanced features. When you get into the $600-$800 range there are some excellent VLF detectors available. For more specialist hunting, such as saltwater or gold prospecting, a PI or multi-frequency detector is likely to be the best choice. These cost more money though, so be prepared to spend $1000 or higher. Along with the detector, you need to budget for the cost of extra accessories. At the very least, you’ll need headphones with volume control, some durable gloves, coil covers, a detector bag and basic digging tools that are suitable for the environment you’re hunting. While you don’t need to spend a fortune on kit if you’re a beginner, it’s worth avoiding the cheapest options. High-quality headphones, in particular, can make metal detecting more enjoyable. They can block out external noise and allow you to hear deeper relics and other targets. I also recommend Lesche digging tools. You should consider buying a pinpointer. This isn’t an essential tool, but can save you plenty of time when you start digging plugs. Some metal detectors include accessories such as bags or even pinpointers. While these can help save money if you’re on a tight budget, they are often low-quality and included as a marketing tool rather than to provide quality accessories. Detector Weight. The weight of a metal detector varies a lot. If you’re going to be using a detector for long periods, or if you have back or shoulder injuries, a lighter detector is much more comfortable to use. It’s also important to consider whether you’ll be sharing the detector with anyone else. If your son or daughter is likely to use the machine, check that the detector is light enough and the size can be adjusted. Durability. Most modern detectors are able to withstand the odd bump or bash. This is another reason why it’s a good idea to buy from established brands, as their detectors tend to be more durable. If you think your detector is going to suffer more than most – perhaps if your children are going to be using it or you plan to take it on long journeys – then it’s worth paying a bit more for a highly durable machine. Waterproof Vs Submersible. Most metal detectors have waterproof coils, so they can be used in shallow water. If you want to use a machine underwater, however, then you’ll need one that’s fully submersible. These models aren’t just for scuba diving though. If you plan to hunt in shallow beach water, a submersible option is essential to protect against unexpected waves. Read Reviews. Manufacturer descriptions are great for getting an overview of a detector’s features – but they can’t be trusted to provide a true picture of the model’s performance. Instead, read reviews from a variety of sources, including our reviews and those left by buyers on shopping sites. Keep in mind that all detectors have the odd bad review, so don’t get put off by a few people who happened to buy the wrong model for their needs. Warranty. A metal detector can be an expensive investment, so it’s important to know how long the manufacturer’s warranty last. The average is around 2-4 years, although some brands offer longer or even lifetime warranties. Used metal detectors are usually not covered by warranties. Where to Buy. There are a number of specialist stores for metal detectors (both online and offline). Larger sites such as Amazon also sell a wide range of detectors from major brands. You can also find second-hand models on Craigslist and eBay - although I recommend specialist stores for repairs. Check out my "Metal Detectors for Sale" page for more information. Choosing a metal detector can be difficult – especially when you’re first getting started with the hobby. 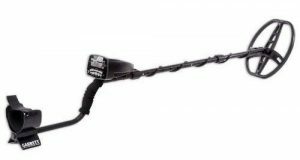 With a huge range of prices, features and terminology, the market for a metal detector can be a confusing place. The key is to choose a detector that matches your experience, budget and requirements. Beginners should stick with entry-level models unless they have a specific reason not to do so, as they are cheaper and easier to use. It’s also important to avoid getting overwhelmed. 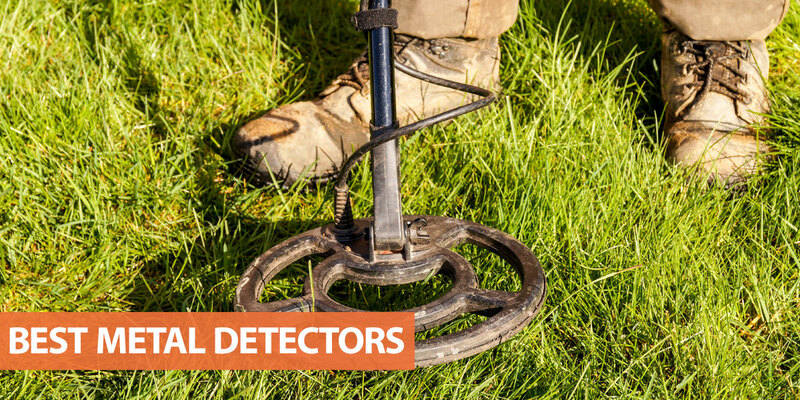 The truth is that most VLF detectors from major brands can do a decent job when you’re first starting - especially if you follow our guide to using a metal detector. As you get more experienced, you’ll have a better idea of which features you need from your next detector. Whatever your budget or experience, I hope this article has helped you narrow down your options. If you have any questions about choosing the best metal detector for your requirements, please feel free to ask in the comments section.